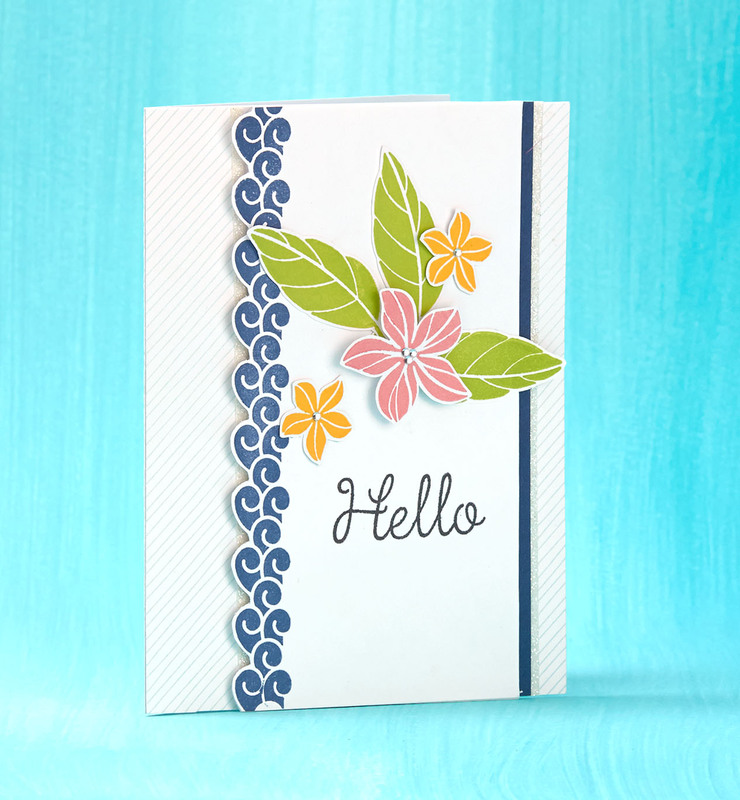 With the weekend still a day away, we’re going to whisk you off to paradise with a brand new stamp set called Hello Paradise! Check out that colorful parrot hiding among the leaves below! As you can see, this stamp set is perfect for scrapbooking AND cardmaking. And did we mention it is only available until March 31? Better act quickly before paradise slips out of reach! Beautiful artwork! I love it! Okay, you’ve convinced me….I need this set! Just love this stamp. Can’t wait until it arrives. WOW….Love these projects….you’ve ‘sold’ me!!!! 😀 We know you’ll love it! 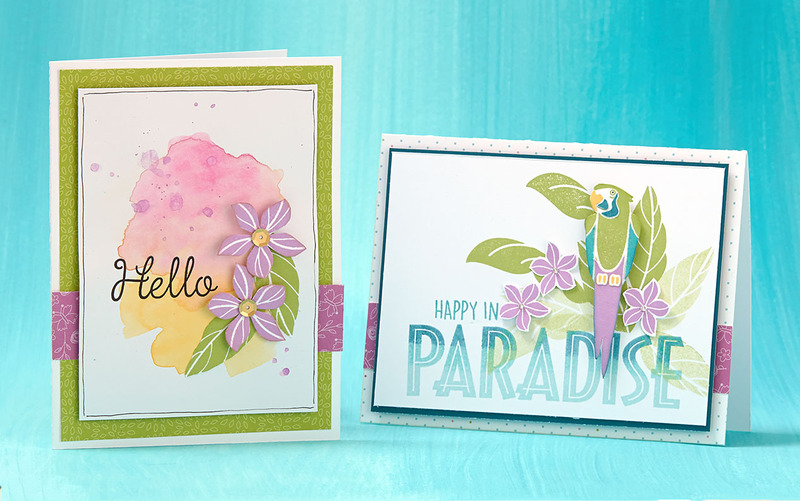 Love Love the last two cards, the flowers on the watercolour background & the colourful parrot hiding among the leaves & the soft pretty colours – Oh my! When I think of Paradise, I think of Hawaii. I’ve never been there but it is my someday dream vacation. Perhaps when the littles are grown up, their daddy and I could take a vacation for us. I always thought it would be so lovely to renew our wedding vows there on a beach…. What a wonderful thought. We hope that happens for you, Casandra! Beautifully inspiring artwork!!! Is there a recipe with measurements to follow?